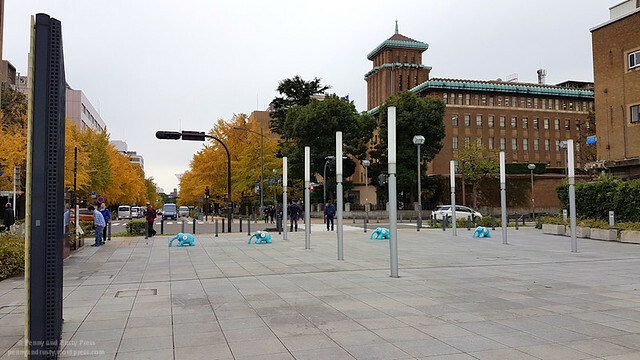 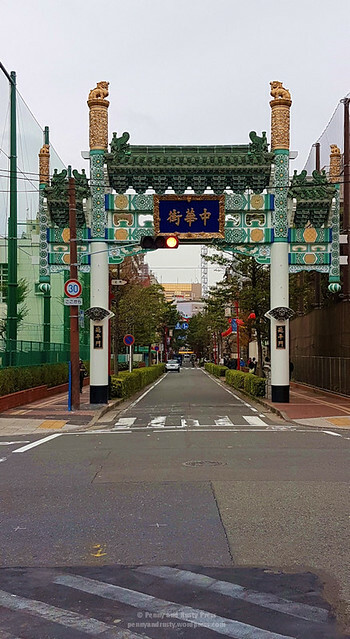 While Tokyo is quite large and we only scratched the surface of their many different wards and districts, we had a hankering to explore a bit. 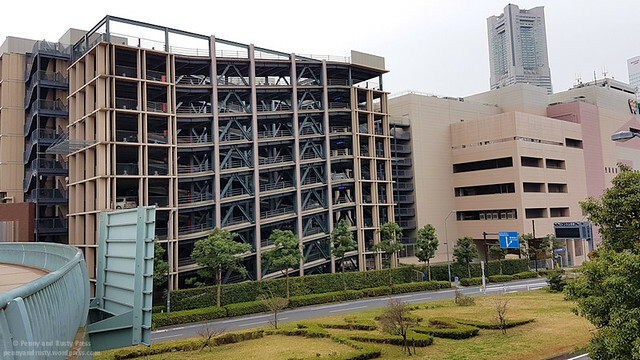 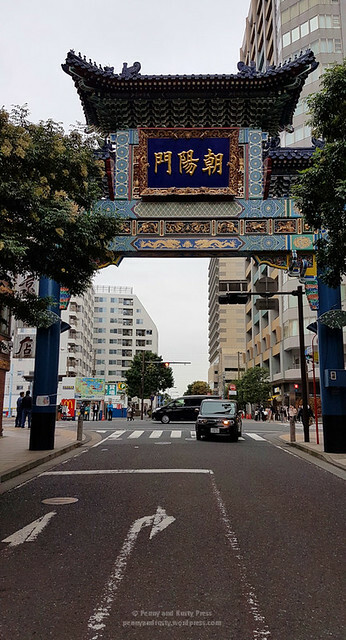 As this was our last full day left in Japan, we didn’t have much time so we decided to stay within the Greater Tokyo Area and visit Yokohama (about an hour away from Tokyo by train). 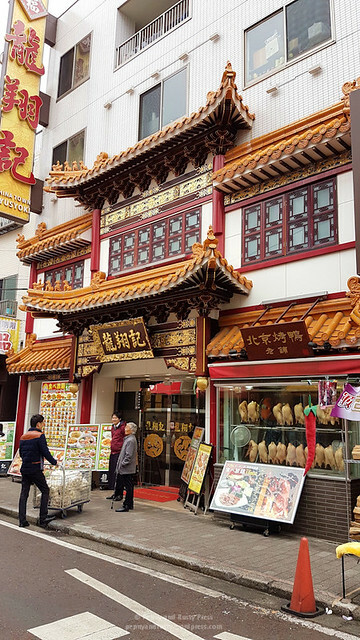 With such an excursion, we needed some nourishment before we hopped on the train and decided to grab a quick bite at the McDonald’s near our hotel. 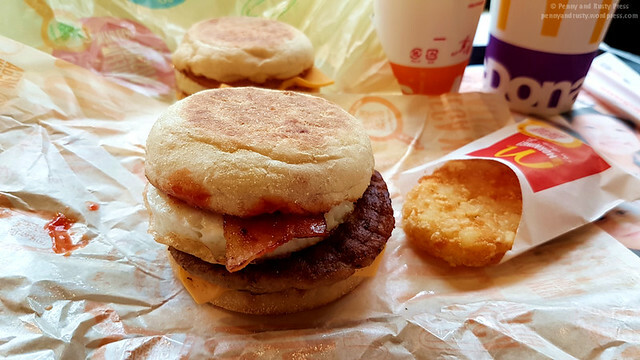 I wound up picking their Mega Muffin which includes both double-sausage patties and bacon on a regular egg McMuffin. 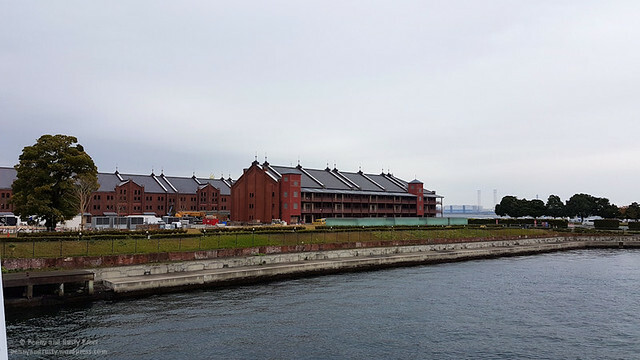 Yokohama, a major port city, is the second largest city in Japan and lies just south of Tokyo. 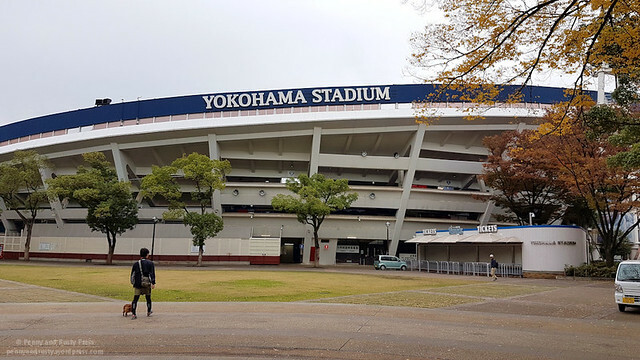 After getting off the train and walking towards Chinatown, one of the first things that we came across was Yokohama Stadium, a 30,000 seat baseball stadium. 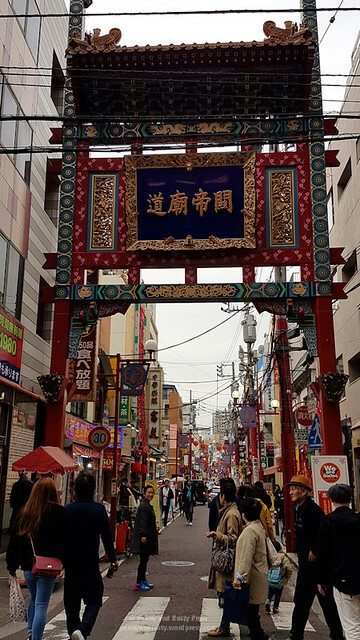 You might wonder why we’d head to a Chinatown while we’re in Japan but Yokohama’s Chinatown is one of the largest in the world. 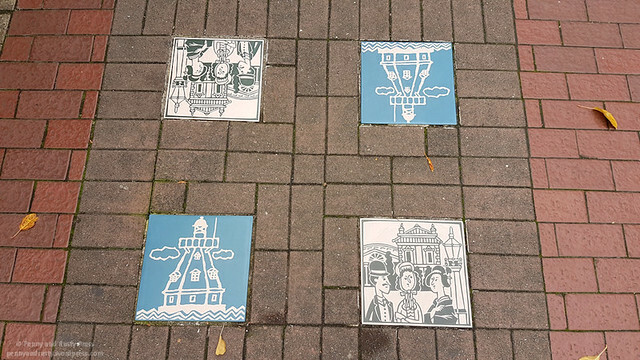 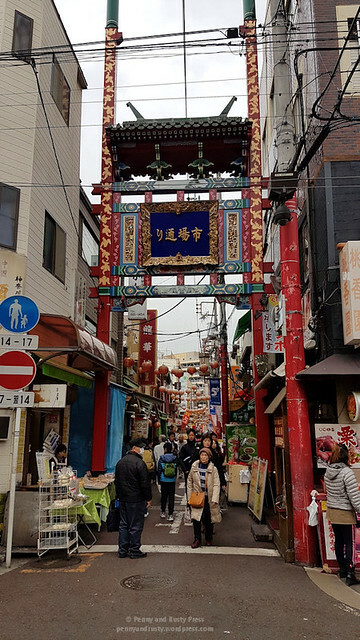 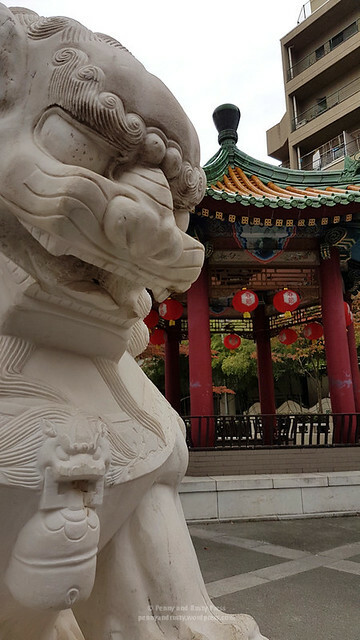 Although Vancouver’s Chinatown today isn’t what it used to be like, Yokohama’s version today seemed like it was still more impressive than Vancouver’s in its heyday. 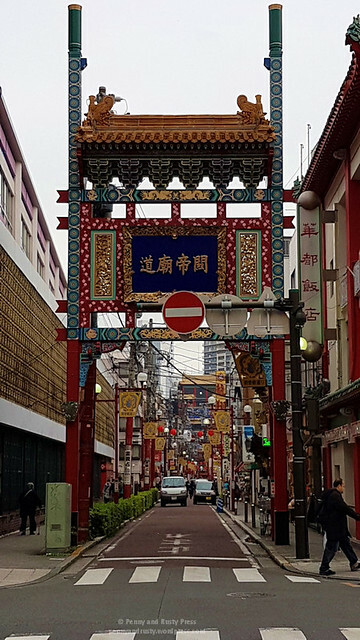 The first thing that you notice in Yokohama’s Chinatown is the number of large gates they have (there are 4 main gates at the entrances and a number of other gates within the area). 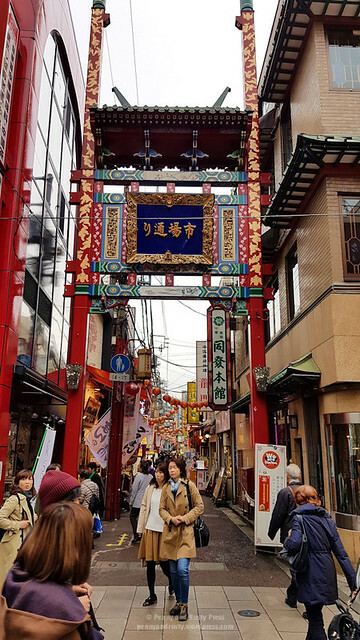 I believe we entered through the West Gate. 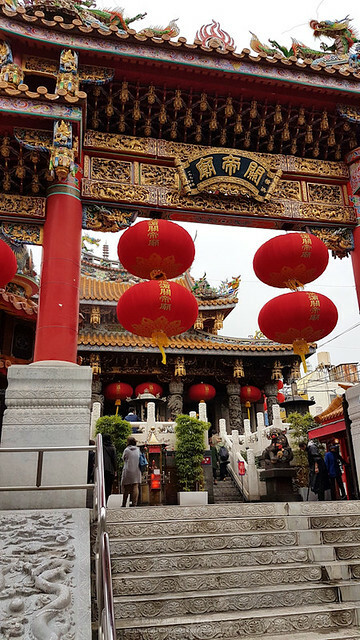 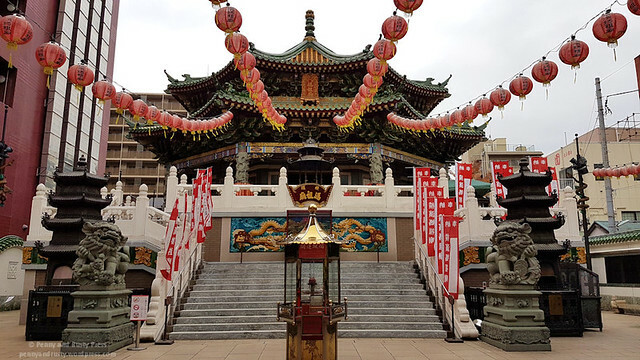 There are a couple of Chinese temples here… the first of which that we came across was the Kwan Tai Temple (Kanteibyo) dedicated to Guan Yu. 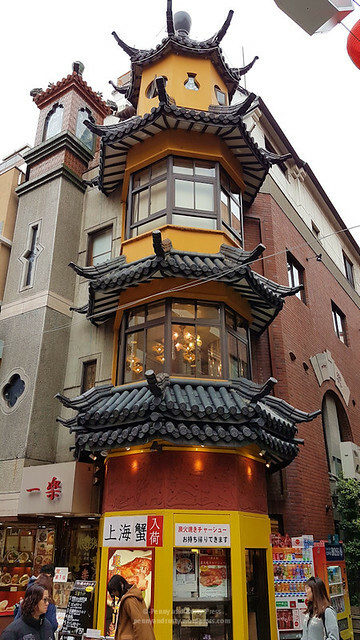 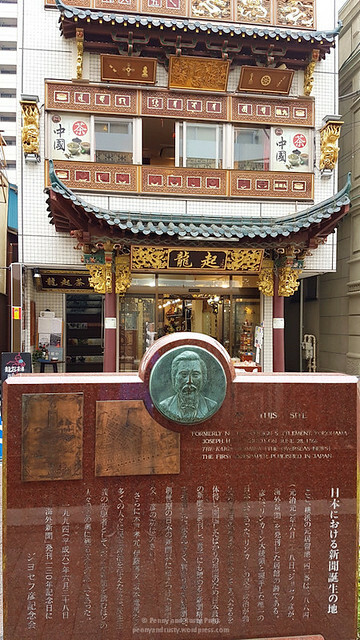 The other thing that you notice about the Chinatown in Yokohama is the classical Chinese architectural facade that adorns most of the buildings. 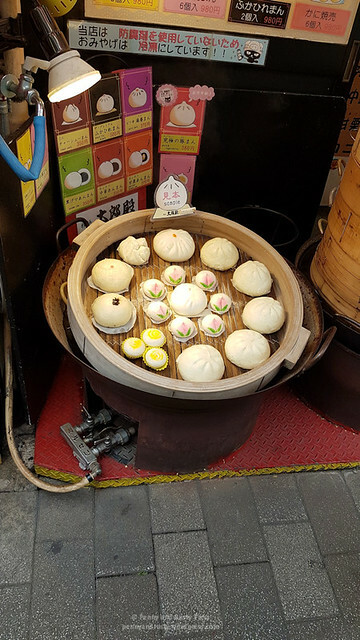 There were also many food vendors with steaming-hot buns selling their wares. 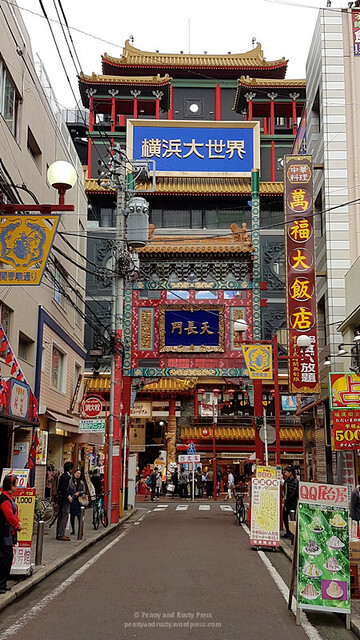 As you stroll through the many streets, it’s easy to get lost. 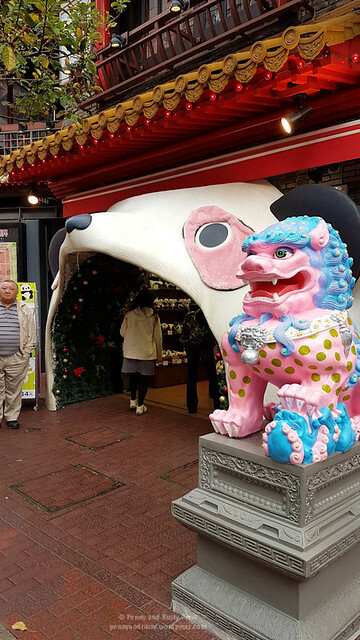 Your eyes are not deceiving you… that is a store with a giant pink panda mouth that people are walking into. 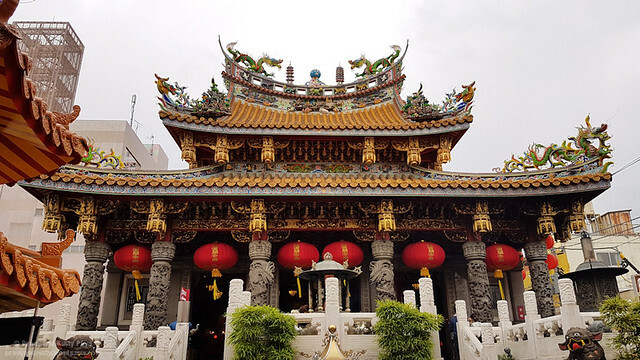 The Ma Zhu Miao Temple (Masobyo) is dedicated to the sea goddess, Mazu and is quite ornate. 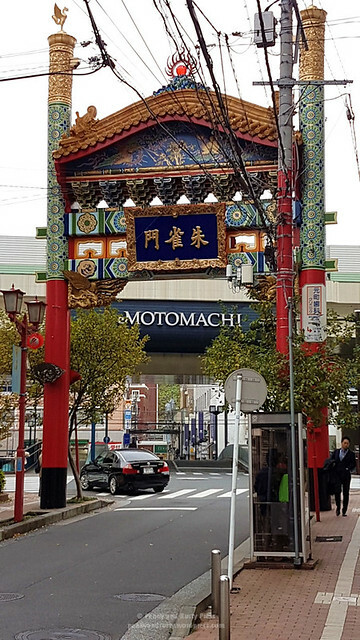 I don’t think we found all of the gates. 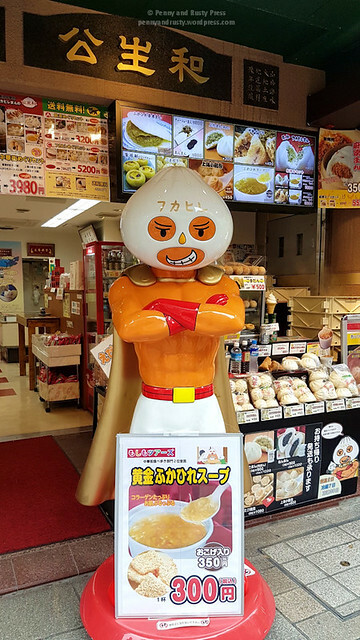 We did, however, find this statue of what appeared to be a dumpling super hero. 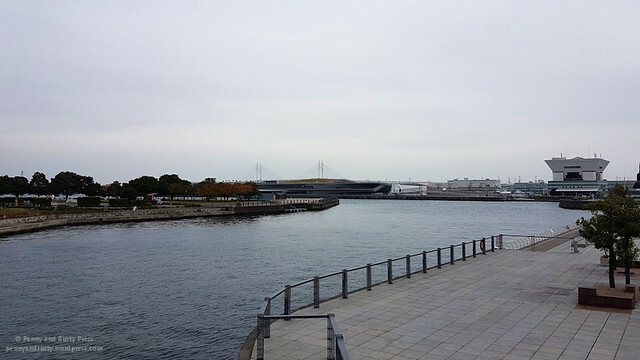 After leaving Chinatown, we walked towards Minato Mirai 21, the large business district in Yokohama. 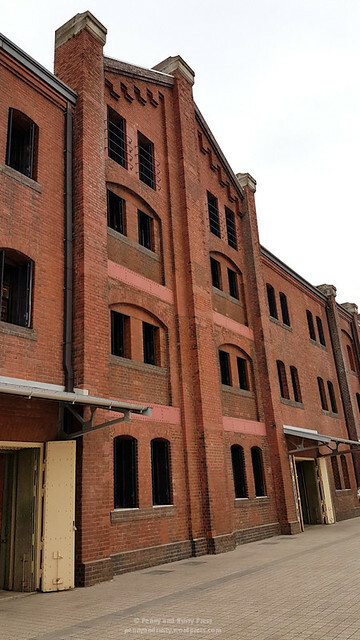 These large red brick warehouses were originally built over 100 years ago and now contains a number of retail shops and cafes. 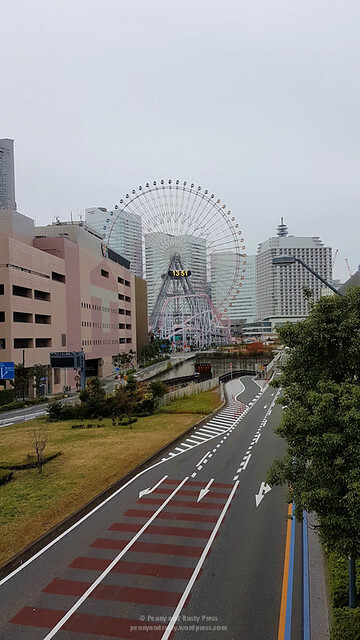 One of the sights that you can’t miss (literally) when you visit Yokohama is the Cosmo Clock 21 Ferris Wheel. 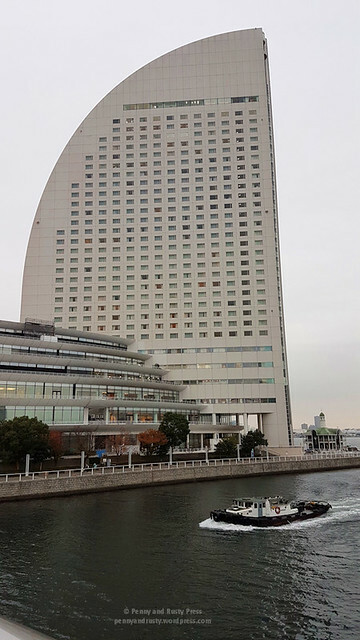 Originally built in 1989 for the Yokohama Expo, it was the tallest Ferris wheel until it was surpassed in 1992. 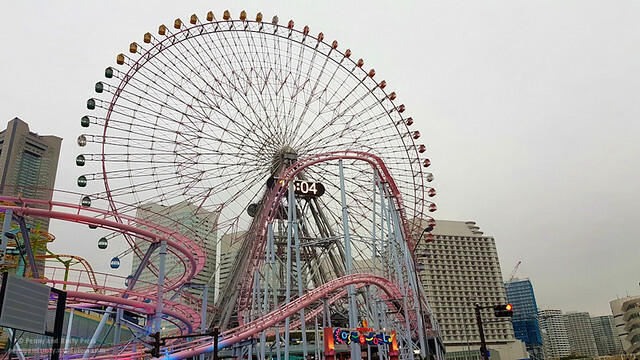 With the large digital clock in the centre and the pink roller coaster that wraps around it, it’s quite impressive. 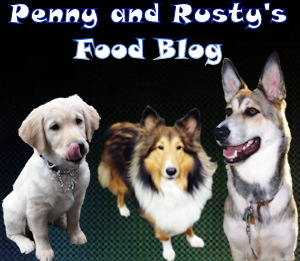 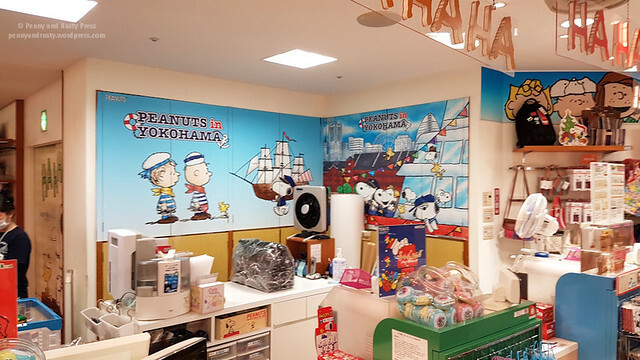 We found a spot for lunch at the Yokohama World Porters shopping mall. 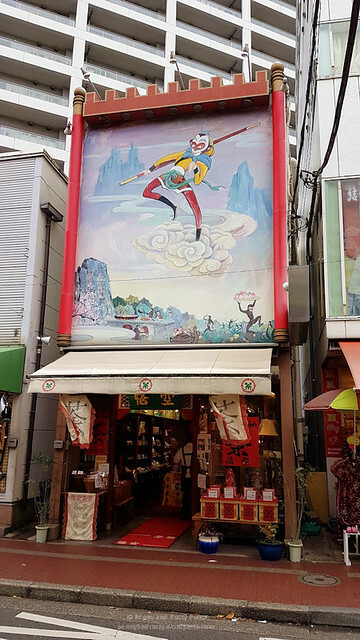 Interesting, there was quite a few Hawaii-themed shops here. 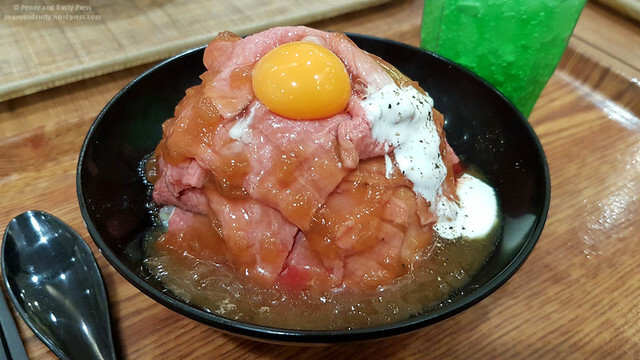 The food court has a number of different options available including this giant volcano of roast beef from Roast Beef Hoshi. 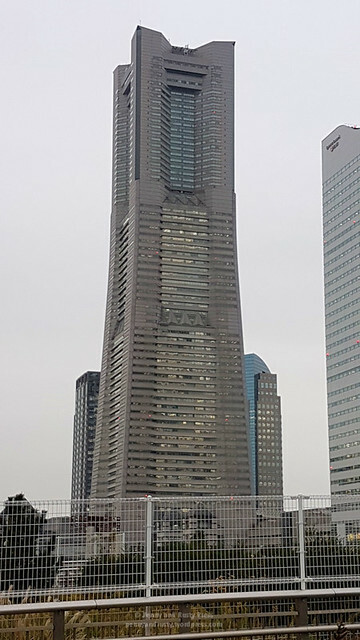 The Yokohama Landmark Tower is the second tallest building in Japan at 296 metres and has a very Gotham-esque feel to it (similar to the Tokyo Metropolitan Government Building). 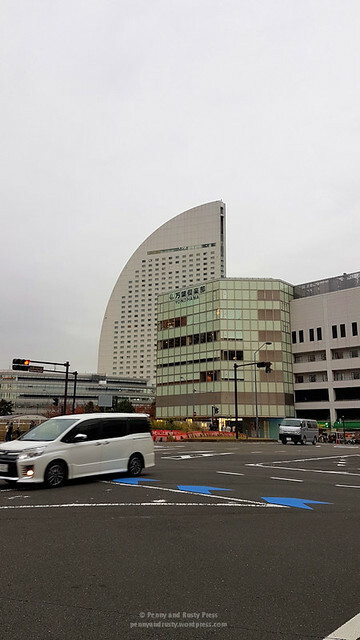 The semicircular building that resembles a piece of Terry’s Chocolate Orange is the InterContinental Yokohama Grand Hotel and Resort. 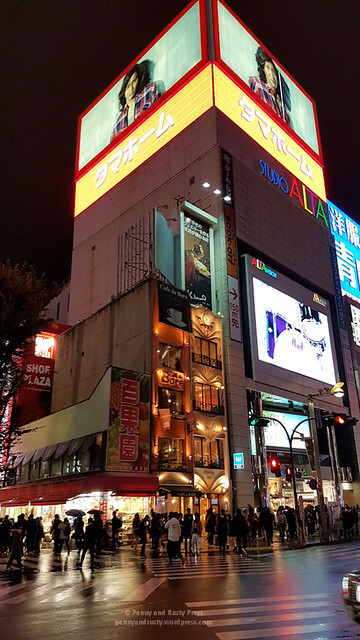 The roller coaster at the Cosmo Clock 21 actually dives underwater for a brief moment and is kitty corner to the Nissin Cup Noodles Museum. 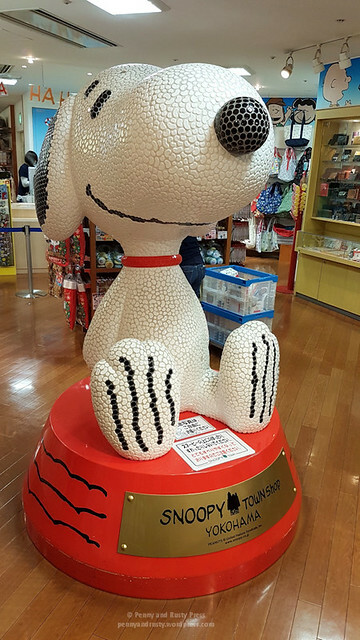 Yup, you heard me right… there’s a museum dedicated to Cup Noodles! 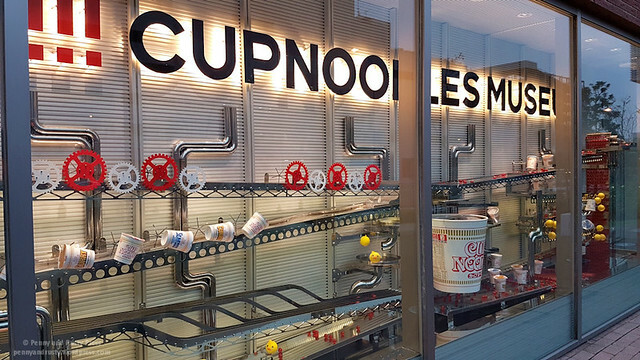 If instant ramen is your thing, you can even create your own Cup Noodles. 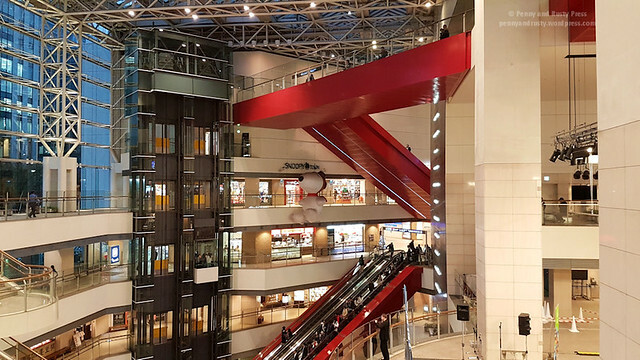 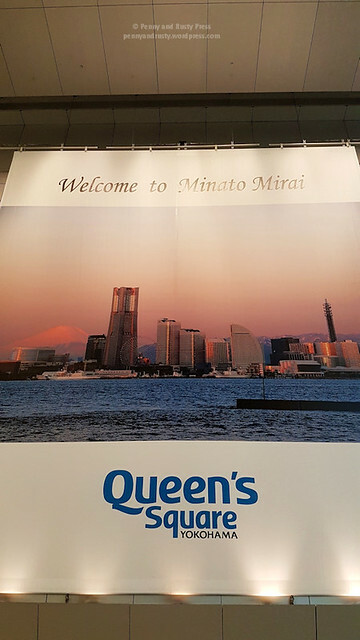 On our way back to the train station, we stopped at the Queens Square Yokohama shopping mall. 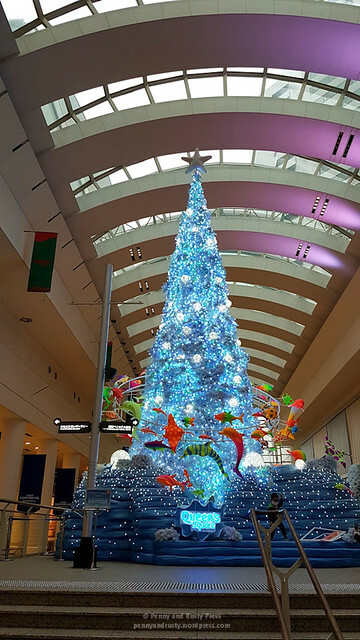 As it was late November, they had a huge, beautifully blue-lit Christmas tree. 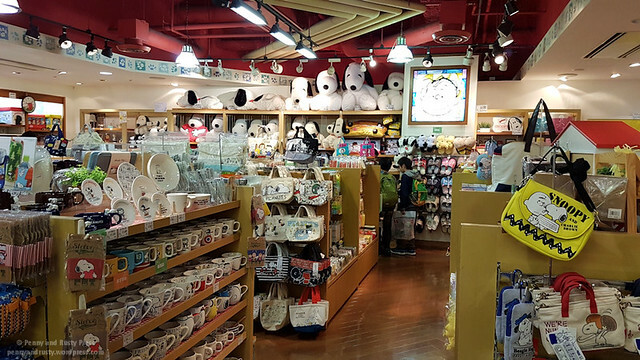 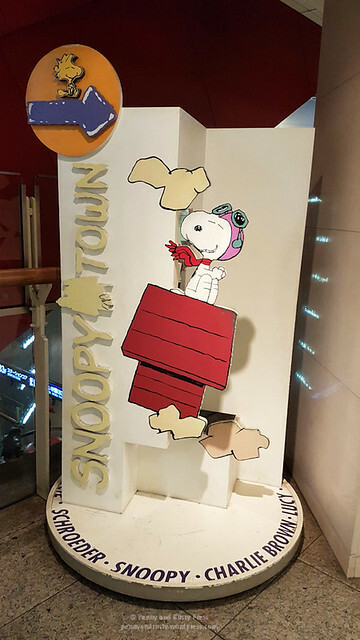 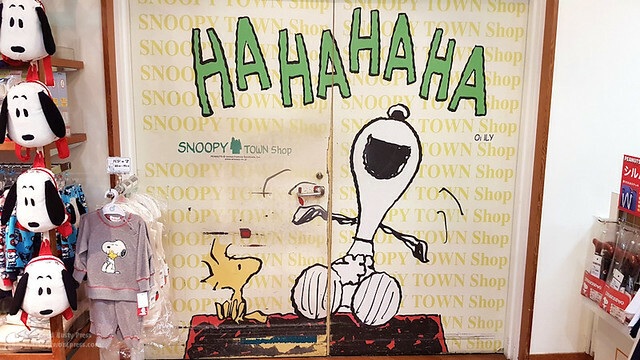 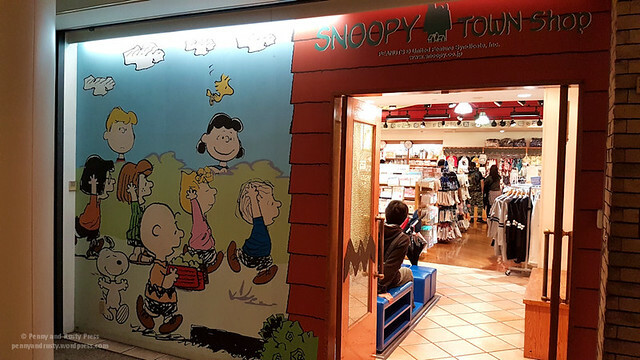 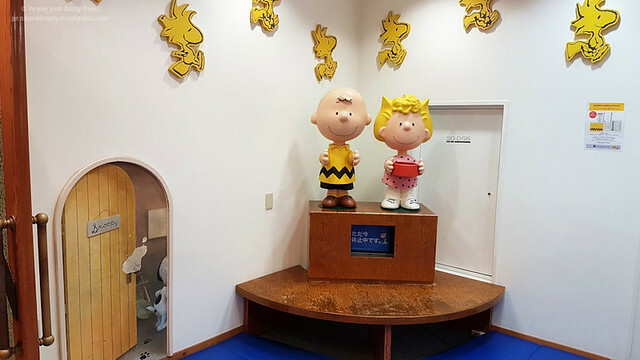 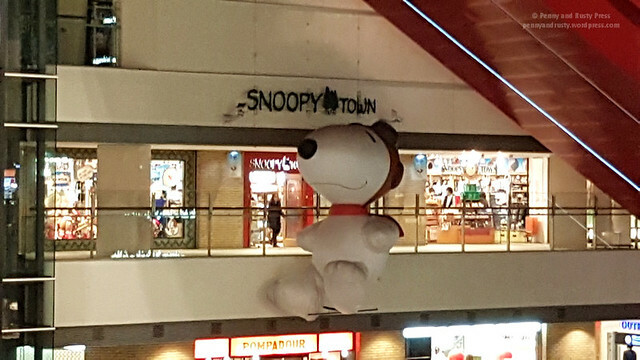 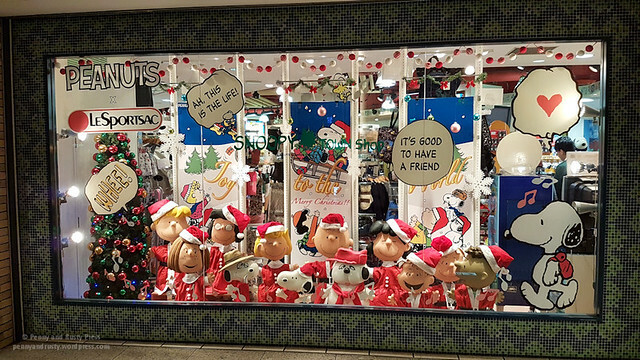 We were pleasantly surprised to find a Snoopy Town shop in the mall that seemed bigger than the one at Kiddy Land in Harajuku. 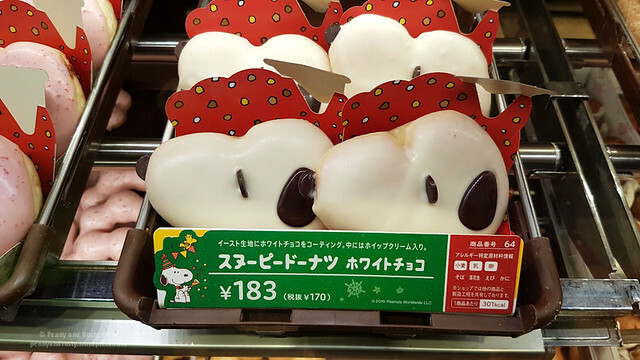 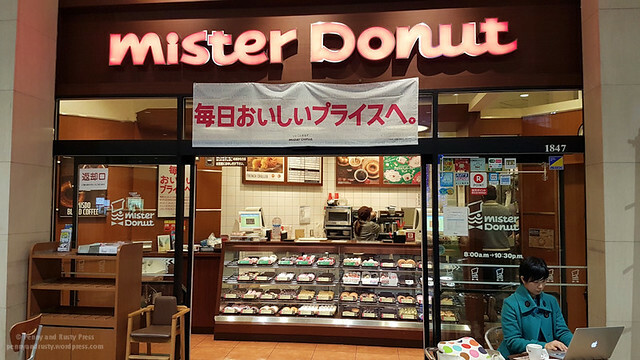 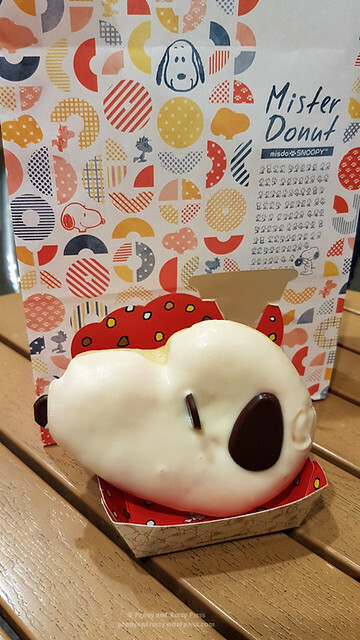 Speaking of Snoopy, you can find a Snoopy donut inside the Mister Donut shop. 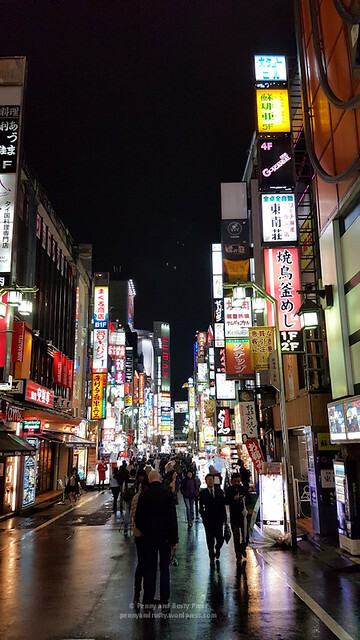 By the time we got back to Tokyo, it was dinnertime and we were looking for something to eat in the Kabukicho district (the red light district in Shinjuku). 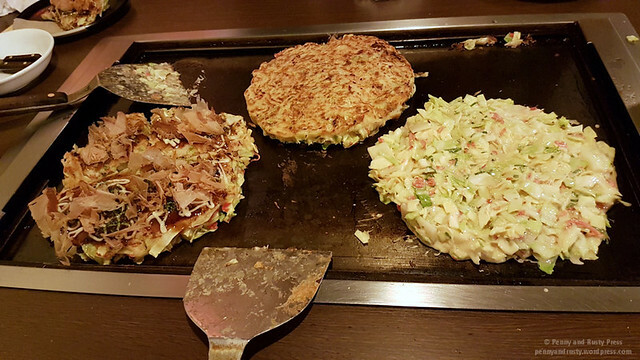 One of the dishes that we wanted to try when we were in Japan was okonomiyaki. 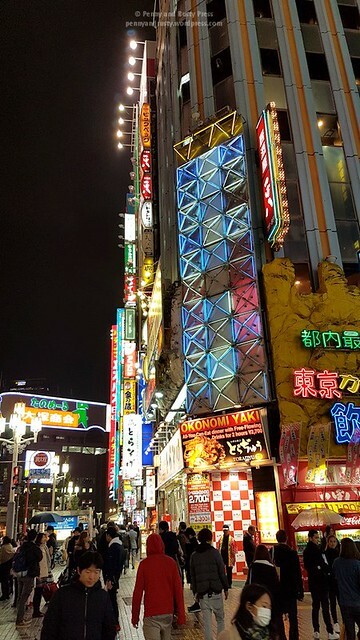 One of the tall buildings that we passed by had a big sign for okonomiyaki with all-you-can-eat for ¥2700. 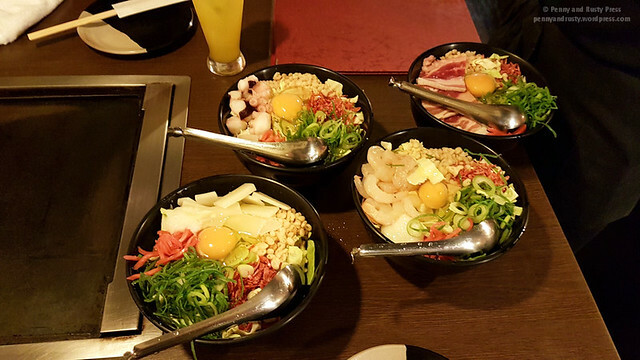 We weren’t up for all-you-can-eat but decided to still try out the Toradyu Okonomiyaki Restaurant. 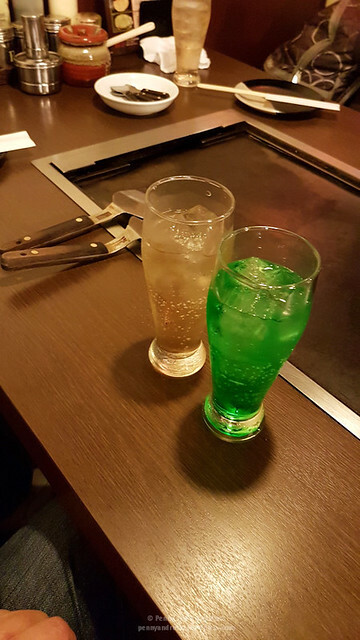 We had to grill these ourselves but they were quite tasty (and super filling). 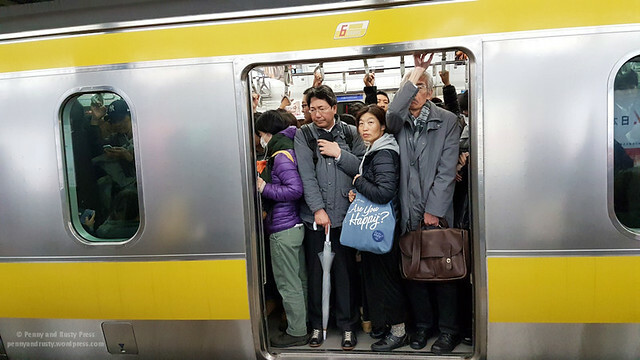 Our long day ended with a train ride back to our hotel. 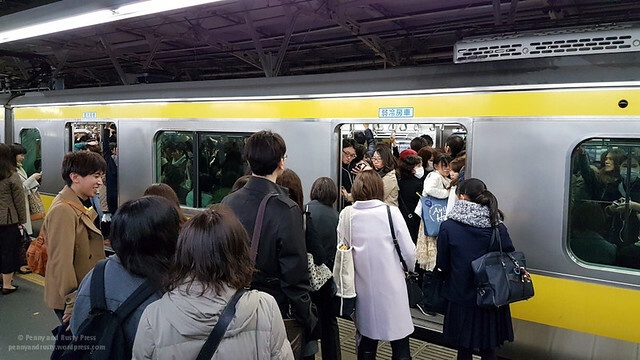 During most of our visit to Japan, the trains weren’t too busy because we stayed away from peak rush hour times but these pictures show how busy it can get on the popular trains. 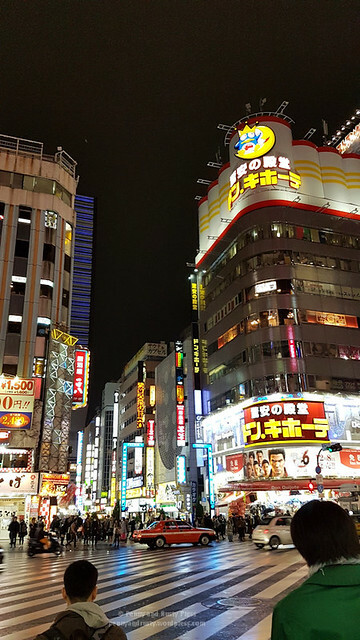 Our next stop is also our last stop in Japan before we returned to Vancouver.